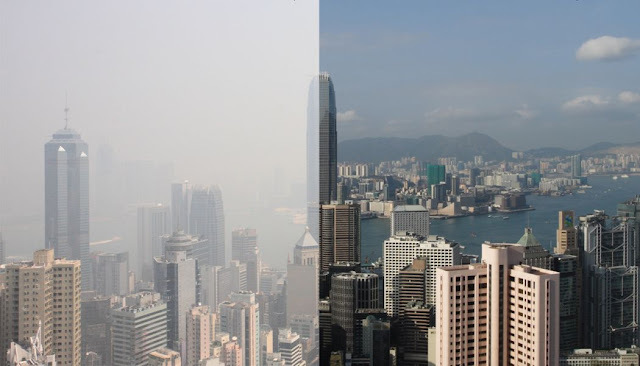 Hong Kong recorded ''very high'' to ''serious'' levels of air pollution across the city on Sunday afternoon, made worse by Typhoon Nesat and Tropical Storm Haitang as light winds hindered the dispersion of pollutants. As of 2pm, all 13 of the Environmental Protection Department's air pollution monitoring stations recorded ''very high'' levels of pollution. 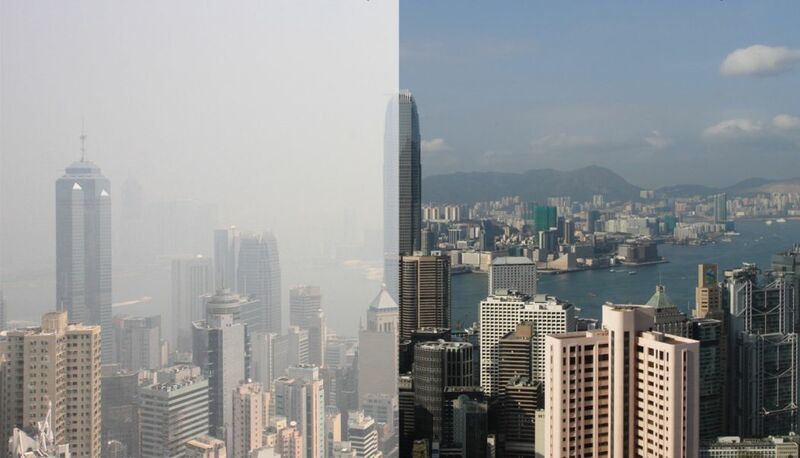 Two roadside stations also recorded similar results, with the Causeway Bay station registering ''serious'' levels of pollution - the highest in a five-tier scale of ''low'', ''moderate'', ''high'', ''very high'' and ''serious''. ''Under the influence of the outer subsiding air from Typhoon Nesat and Tropical Storm Haitang, a continental airstream is affecting Hong Kong. The weather is very hot with moderate west to northwesterly winds,'' the department said in an announcement on Sunday. ''Light winds hindered the dispersion of air pollutants formed yesterday and led to higher than normal pollution levels in the morning. The high level of ozone has contributed to the formation of nitrogen dioxide particularly in parts of urban areas and along roads, the department said. More monitoring stations are expected to record ''serious'' levels of pollution later on Sunday, it added. A 19-year-old man was sent to North District Hospital after he felt unwell while hiking in Sheung Shui. Temperatures reached an average of 34 degrees Celsius on Sunday afternoon, with Sha Tin, Kowloon City, Happy Valley and Sham Shui Po recording 37 degrees. It was 36 degrees in Tuen Mun, Shau Kei Wan and Kwun Tong. The Observatory has issued the ''very hot weather'' warning, meaning that the risk of heatstroke is high.